I had to pick it up and then I couldn’t put it down. So, now that we’re deep into my month of young adult, I have to bring up my first successful jump into this genre. I’d tried to read a few popular young adult novels before, but I always ended up putting then down. They just felt too teenager for anyone over sixteen to enjoy. 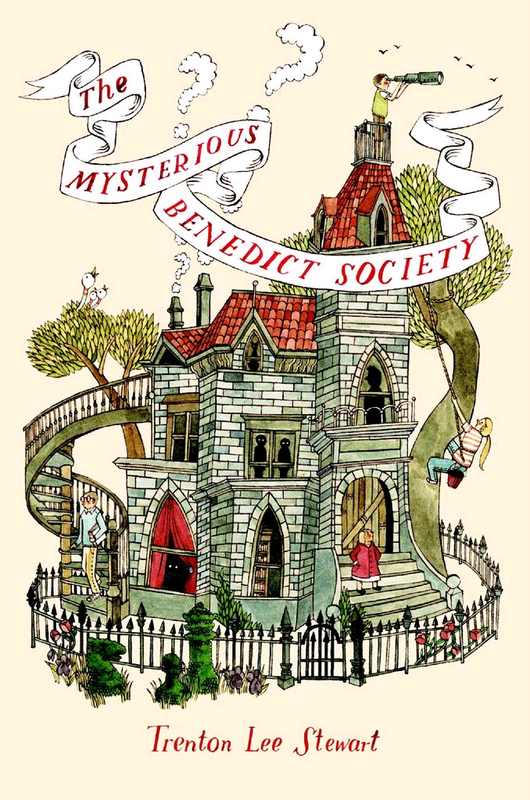 But The Mysterious Benedict Society broke the mold I previously believed was not capable of being broken. A long time ago, in a galaxy far, far away (Blogger), I talked about the first book in the series right after I finished it. Well, now having finished the whole series I will laud it even more. And the funny thing is I never intended to read it. I found the book on a table at Sam’s Club and bough it purely because of the title. Come on, how could I not have a book with Benedict on the cover in my collection? Fortunately, I got stuck in line that day, so I started reading it just to keep my mind off the wait. By the time I reached the cashier I was hooked. Like many books in this age range, the story begins with a series of uniquely talented orphans. I’m not sure why orphans are so marketable, but that’s just the way it is. There is Reynie, who can solve any riddle you put in front of him. Sticky, who has such a good memory facts just seem to stick to him. Kate, who is so resourceful she can solve any problem with her ever ready tools. And there’s Constance who…well, nobody in the world is more stubborn. These books are just plain good books. Suspenseful, thoughtful and at times funny, the characters and plots of this three book journey are worth your time. Yes, like A Series of Unfortunate Events, I did find myself saying, “This is a kid’s book?” but that was simply because I didn’t think I could enjoy a kid’s book so much. The readers in my house have become quite devoted fans, from my younger sister all the way up to my 83 year old grandmother. So, have you ever “accidentally” stumbled upon a good book? < Previous Live, Love…and then stir in a little super hero.